The Twitter account of Finance Minister Tito Mboweni posted a series of cryptic tweets close to 11pm on Thursday, saying: "The line has been drawn on the sand!" and "We face the fire NOT run away from it". Mboweni's account also tweeted "ma ku lwiwe [sic] madela kufa", which alludes to a call to "fight to the death". The late-night tweets ended with what appeared to be a reference to a spiritual song by the Abathandwa choir, "Umoya Wami Uyavuma", which means "my spirit agrees". In was not clear from the context of the seven tweets in English and Zulu what he, or the person who posted them, was referring to. The minister's account also tweeted that "SA Editors must be Editors!! If needs be, we will be forced into the fight, WAR!". This caused some on social media to ask whether Mboweni's account was responding to recent press coverage, but the account did not respond. Others questioned whether he had been hacked. Since the tweets were posted, Mboweni has not publicly said he posted them, explained the reasoning behind them, or indicated whether someone else posted them. The account did tweet that Mboweni would hold a Twitter question and answer session on Monday. National Treasury did not immediately respond to a request for comment on Friday morning, or to follow-up messages later in the day. This article will be updated if new information comes to light, or Treasury responds. Much of what the account tweeted on had to do with readying for a fight. "Wars start in different ways. Spears and shields, gun powder, bullets, and now through media: printed and electronic (eg trade wars by a super power President), and then Social media!! Well, the SA Editors must be Editors!! If needs be, we will be forced into the fight, WAR!" the tweets read. Many people might not know this, I am a product of the warrior comanders of the mighty Zulu Army from the northern part of KZN, eNgwavuma , we fear nothing! We die only with spears on our chests NOT our backs. Mayihlome! We face the fire NOT run away from it. ???????? David Maynier, DA finance spokesperson, said in a statement on Friday morning that Mboweni had had a "meltdown". 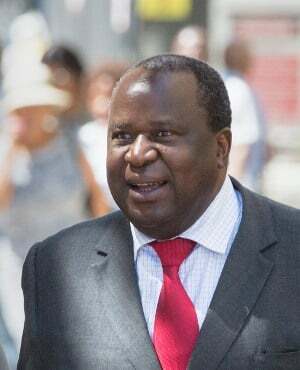 "Tito Mboweni’s meltdown is presumably related to reporting on the humiliating "smack down" following his call to close down South African Airways. His attack on editors for reporting on the "smack down", which are the result of deep divisions, within government, and within the governing party, was a mistake."